DVELP is a remote-first business. Founded upon our core value of Integrity, being remote-first provides the shape for our internal culture. We are committed to lowering barriers between time zones and physical spaces so our team can work flexibly and efficiently - globally. At present, 35% of our team work primarily from our London HQ and 65% work across Belarus, Ukraine and Spain. Although we have an office in London, you won’t necessarily find all the Londoners there every day: sometimes it’s refreshing (or more convenient) to shake it up! Everything we do, everything we’ve made and every conversation we have can be accessed from anywhere in the world*. Central to our remote-first ecosystem is GSuite. Google Drive, Docs, Sheets and Slides are awesome tools for collaboration across accounts. Google Calendar is great for coordinating across time zones. We attach Google Hangouts links to Calendar events to make meetings remotely accessible. For example, every Monday morning at 10am we have a whole team standup called FOCUS. We all hop on a Hangout and update the rest of the team with our core focus for the coming week and how we got on last week. We track them on a Google Sheet. 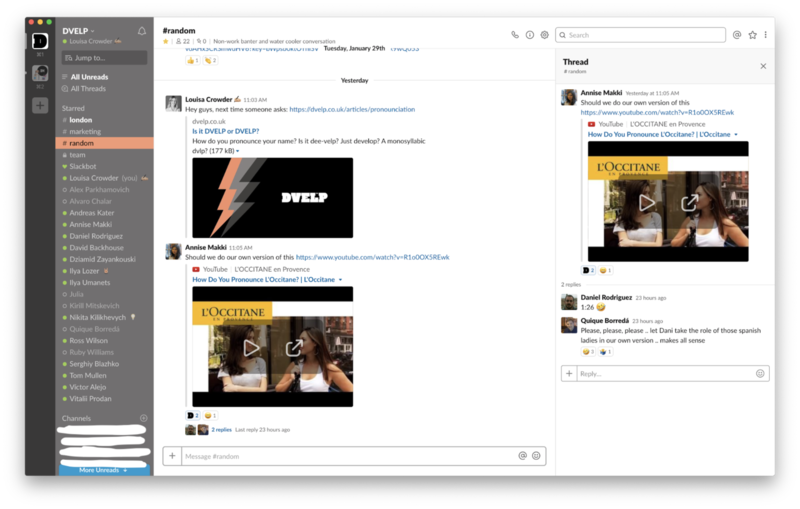 For internal communications we prefer Slack to Gmail. 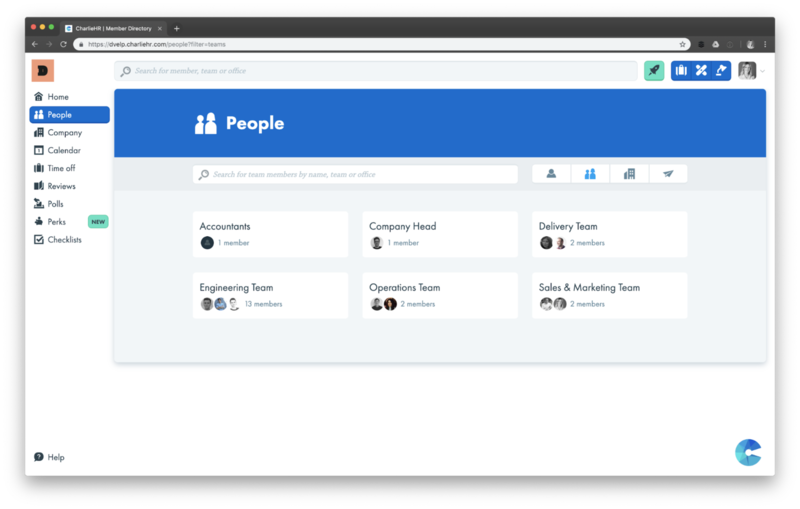 Beyond its very handy integrations with our favourite tools (inc. GitHub and Trello), it gives us a sense of communal space. Slack is our office. As an instant messenger, it allows us to have more natural, informal conversations. We’re in the habit of greeting each other in the morning on the #team Slack channel, so everyone knows who’s around. It’s the place for announcements and team-wide information. If, however, you want to natter or share fun links, the #random channel is your destination. GitHub is the heart of DVELP. Not only is it where our codebase is stored, but it’s also where everyone can find our Cookbook. The Cookbook is simultaneously our manifesto, our staff handbook, and stuffed full of guides, scripts and resources. We’ve made it public, so you can check it out. We request our clients join us on both Slack and GitHub, so they can follow progress as it happens and be responsive to any questions. We believe in complete transparency. All of our internal communications about a project are visible to the client - there are no back channels and we code in full view. This is essential to shortening feedback loops, promoting iterative development and establishing trust. CharlieHR has also proved a great tool for coordinating our team. Keeping track of payroll, holidays, personal details and performance reviews is all done on CharlieHR. The feedback and review functionality is the platform for our Personal and Professional Development programme. It’s important to us, however, not to lose sight of the importance of in-person interactions. We keep up a rota of the non-London teammates visiting HQ. We also have an annual meetup in January and we go large. 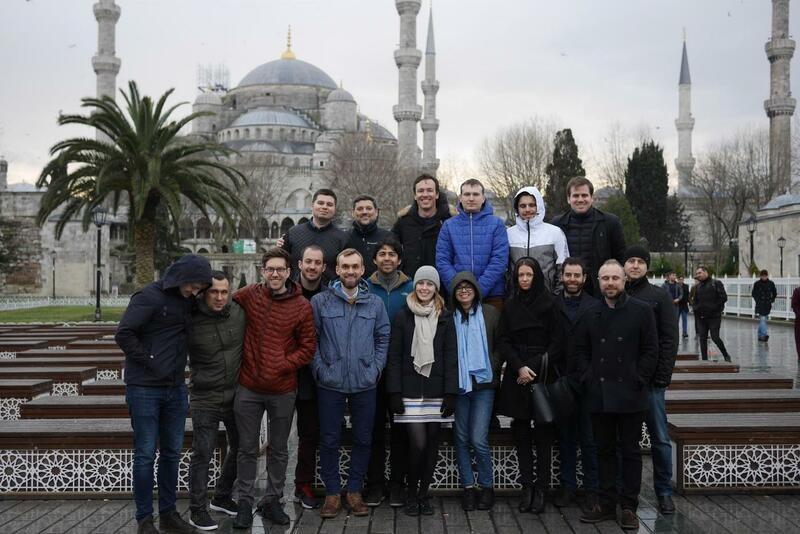 In January 2019, the whole team gathered in Istanbul. We had three days of team-building games, annual reviews, department presentations and fun in a new city. 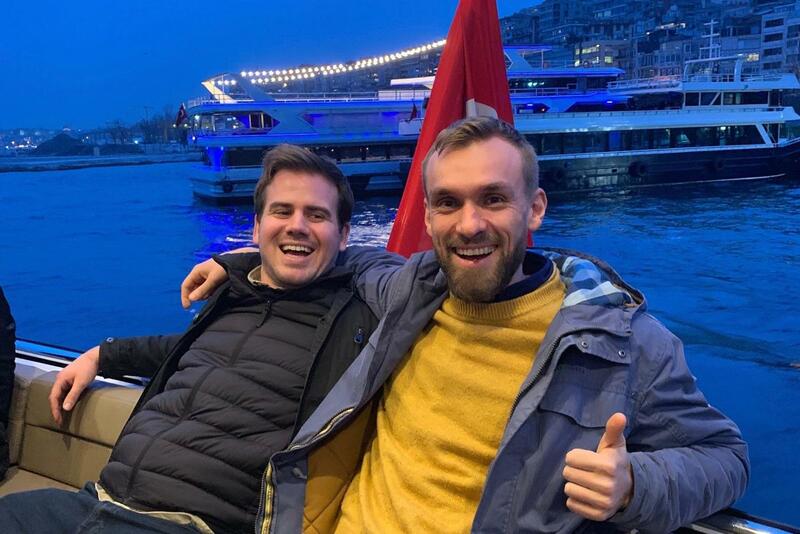 We took a private boat trip, explored the city on a walking tour and tried some incredible food. However, whilst the annual meetups are fantastic fun, the most valuable aspect of them is spending time in each other’s company. On a day-to-day basis, we try to use voice calls and video conferences instead of written messages where possible. These modes of communication are absolutely essential to real engagement in interactions. Psychologist Bradley Okdie ran a study in 2011 that showed that whilst face-to-face interactions take more effort, they also resulted in more positive ratings of character, and an overall more enjoyable experience. What’s more, tone of voice adds context to people’s words that might change the meaning of what they’re saying. Management academic Kristin Byron explains that written digital communication characteristics make miscommunication likely. We believe the value of hopping onto a Hangout cannot be understated! Today we’re a team of 20 and we’re getting bigger rapidly. With a long-term view, we’re committed to making our remote-first culture sustainable and scalable. If that sounds like a journey you’d like to be a part of, why not check out our open positions? And if we sound like the kind of people you’d like to work with on your next communications project, why not hire us? *with authentication and thorough security! We’re currently working towards our ISO27001 data protection accreditation. To hear more about this, subscribe to our emails at the bottom of this page.